Siege will be over before we know it. With it brings the cancellation of all the current Avengers titles. 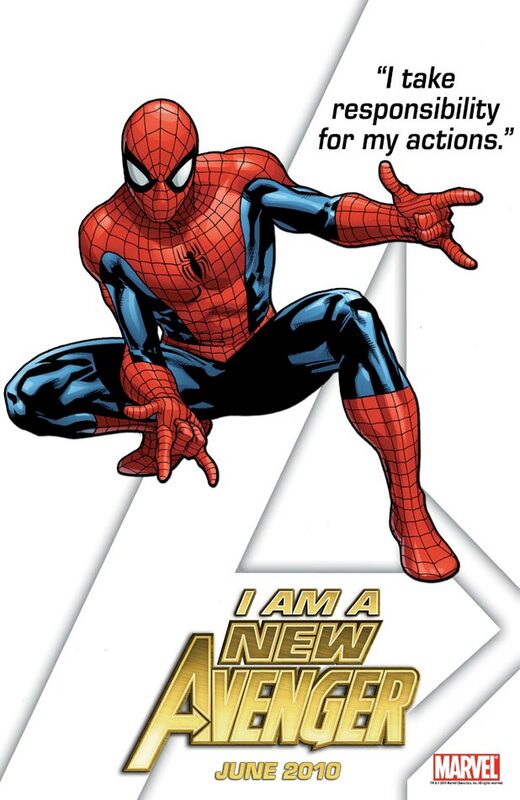 Beginning in May, Marvel will relaunch the entire Avengers franchise with some big shake-ups. There will be several one-shots and mini-series, along with four ongoing books. I’ve outlined below what we know so far about the ongoing series. Avengers – Starting in May, written by Brian Michael Bendis with art by John Romita Jr. Members revealed so far: Captain America (Bucky), Iron Man, Thor, Hawkeye, and Spider-Woman. The traditional Avengers line-up is seven members, so it’s likely we’ll have at least two more surprise members on this team. I’m thinking we might see Vision or Wasp (Hank Pym) on this team. 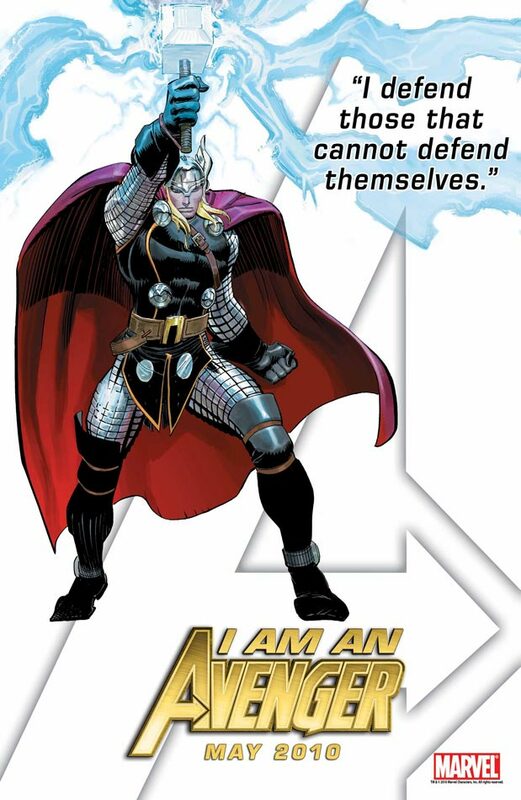 This will be the flagship Avengers title. Secret Avengers – Starting in May, written by Ed Brubaker with art by Mike Deodato. The team members are still a secret for now (go figure), but according to Brubaker the book is, “definitely going to have a lot of the espionage plots and the Steranko influence, and the crazy Kirby technology, but I don’t think there’s going to be much soap opera. I hope it feels different than any Avengers team, ever.” For more of Ed Brubaker on the Secret Avengers, click here. 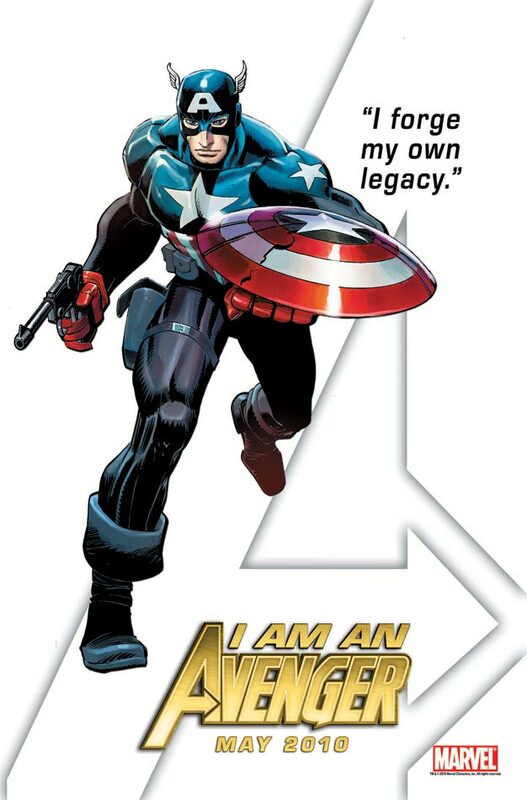 “I lead by example.” Some believe this may be Steve Rogers. 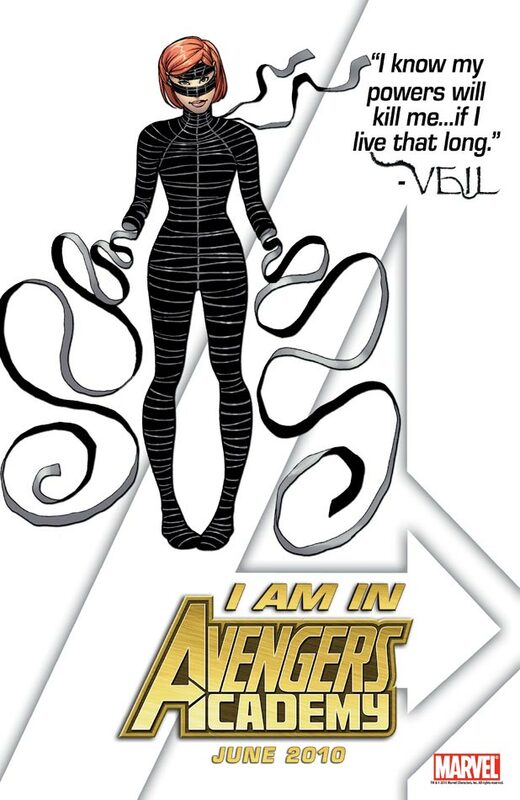 “I am in control of my life.” Some believe this may be Valkyrie or Scarlet Witch. 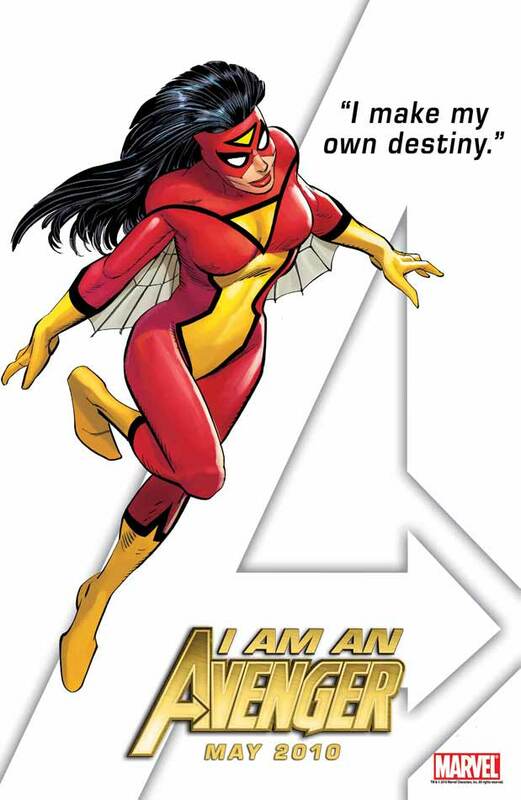 Personally I think you gotta consider Black Widow, Ms. Marvel, or Moonstone as well. “I act on my convictions regardless of personal consequences.” Some believe this may be War Machine. “I focus on the solution, not the problem.” Some believe this may be the Beast or Gorilla-Man. I’m hoping for Beast. 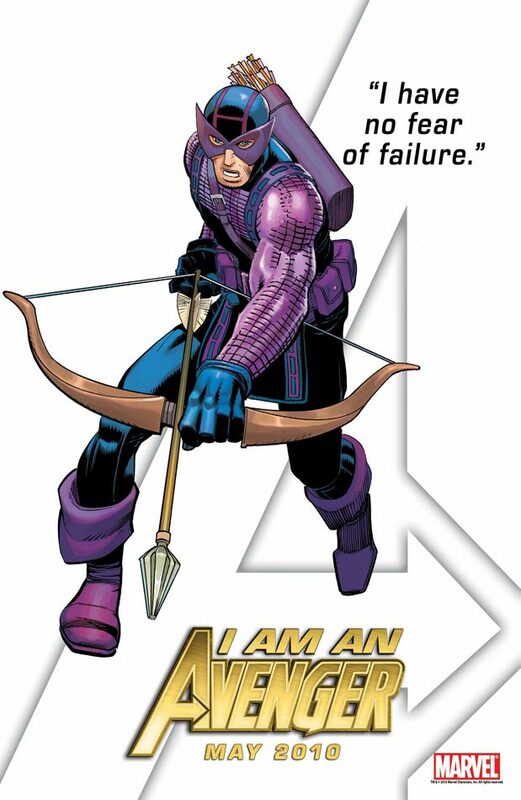 “I excel through adversity.” Some believe this may be Nova. “I strive for redemption.” Some believe this may be Moon Knight or The Hood. 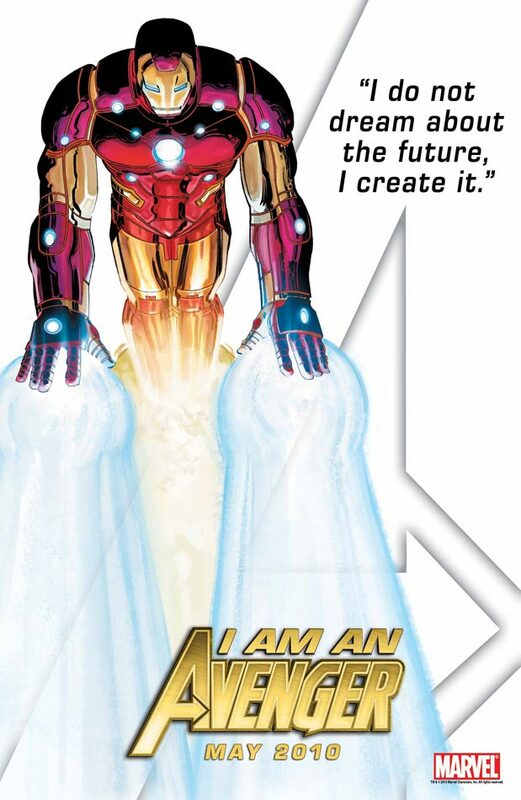 New Avengers – Starting in June, written by Brian Michael Bendis with art by Stuart Immonen. 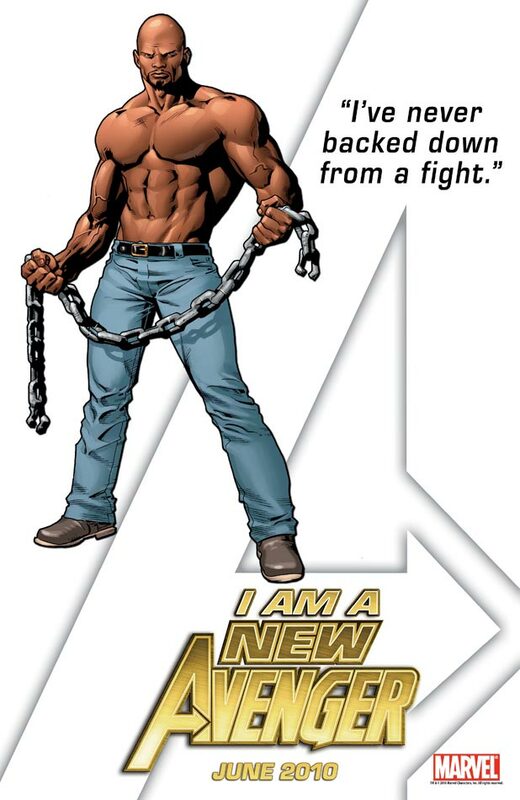 Members revealed so far: Spider-Man, Wolverine, Luke Cage, Jewel, and The Thing. Personally this is the book I’m most excited about. It’s got a really interesting line-up. 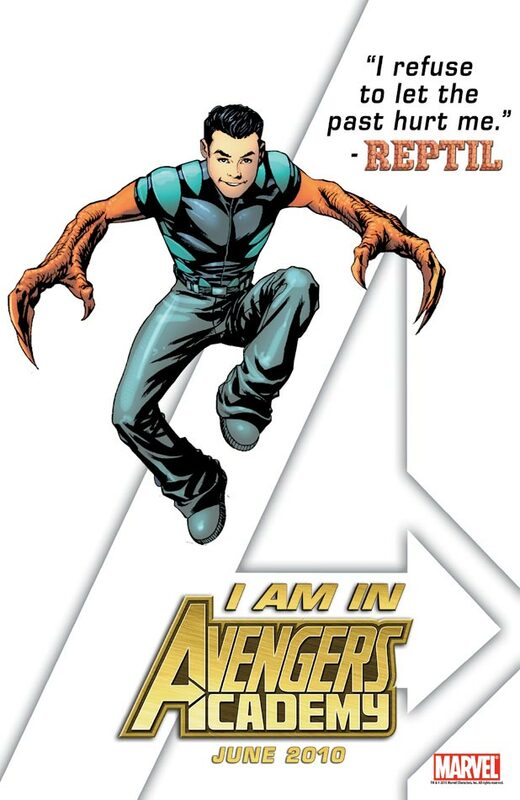 Like the main Avengers book, I imagine there will be at least two more surprise team members once the series hits the stands. I’m thinking we might see Iron Fist and Mockingbird on this team. 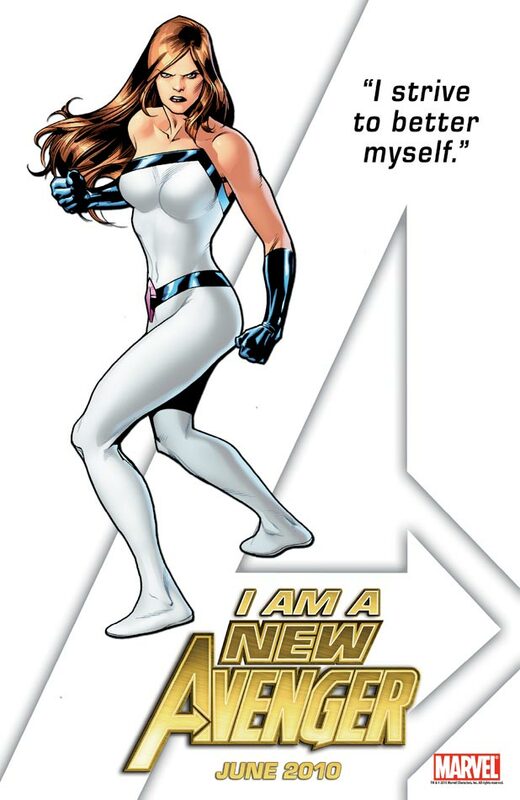 Avengers Academy – Starting in June, written by Christos Gage with art by Mike McKone. 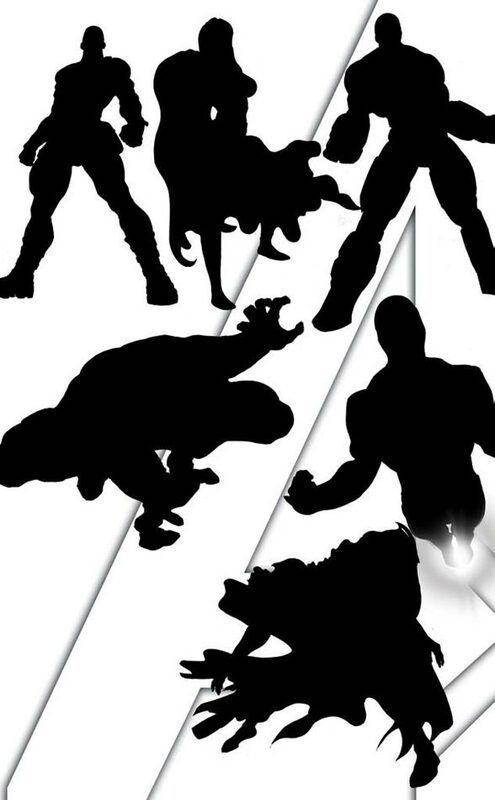 Members revealed so far: Veil & Striker (both new characters), as well as Reptil. This book was only recently announced. Newsarama is running teaser images all this week on Avengers Academy. Click here for the latest character reveals. The members and flavor of this book is likely to be a mix of Young Avengers, New Warriors, and Avengers: The Initiative. 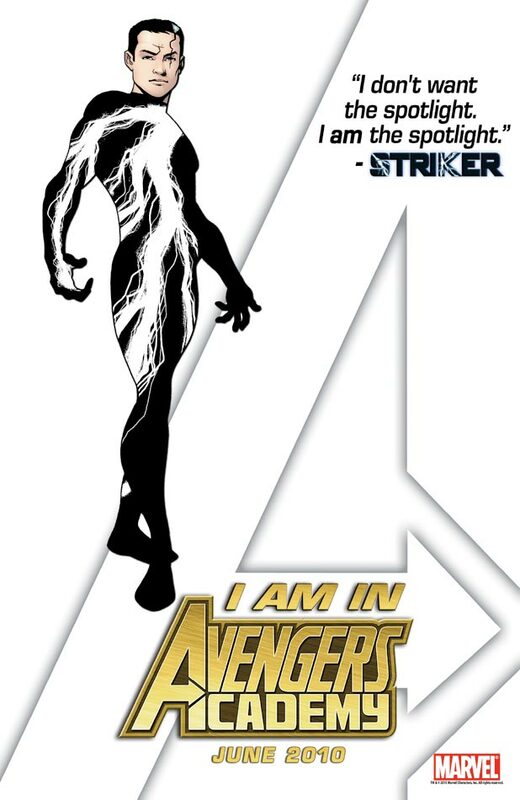 That seems likely given that Christos Gage is just coming off writing Avengers: The Initiative. 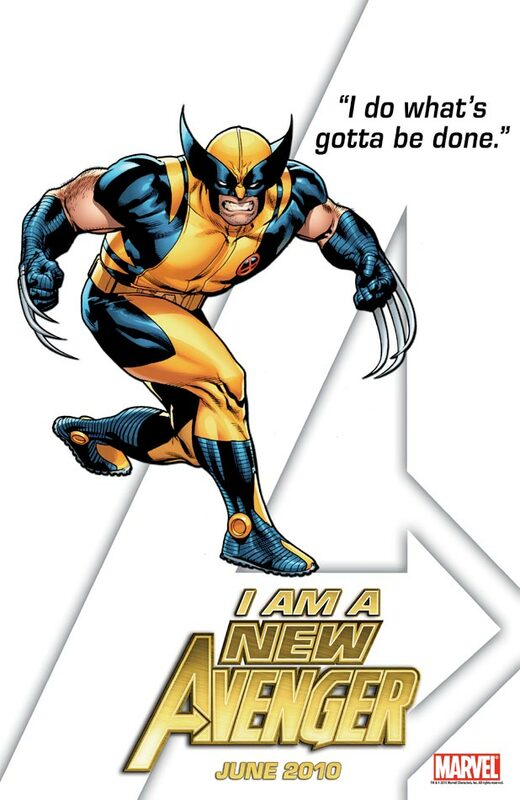 The information and images above came from Newsarama. Be sure to head over there for the latest comic news. While it may seem overkill to launch four new Avengers ongoing series, they are really just starting over books they are canceling. There are four ongoing Avengers titles right now all about to be cancelled: New Avengers, Dark Avengers, Mighty Avengers, and Avengers: The Initiative. 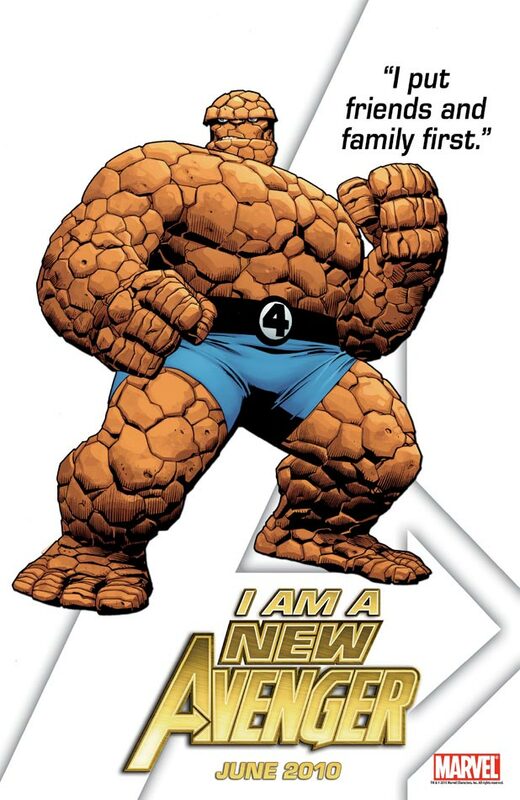 So don’t think of it as launching four new ongoing series, just think of it as Marvel starting the numbering over in order to sell lots of #1 issues. I’m actually excited about the New Avengers lineup. The inclusion of the Thing makes me very happy. I’m probably going to give the title a 3-issue trial period. And, yes, my crow is mighty tasty. Thanks for asking!